Are you a beginner when it comes to decorating your planners? 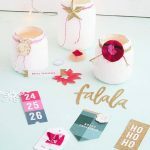 Planner decoration printables are one of my absolute favourite things! You can download a free set of stickers from right here on the blog. If you purchased the Creative, Happy Life Planner Kit (2017), you would have noticed that it’s rather plain. Well, obviously I had fabulous printable stickers in mind and coloured pens that could help you decorate the pages. 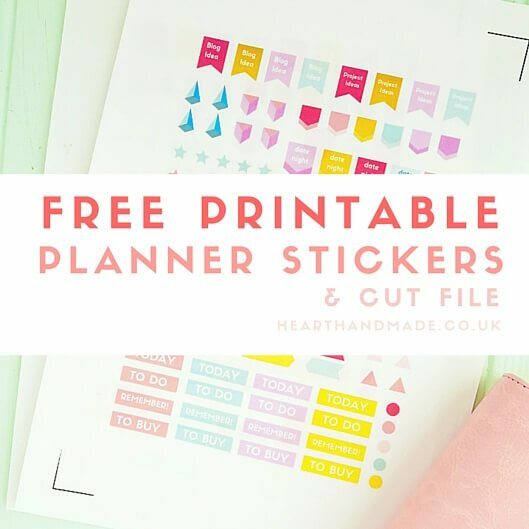 Don’t forget that you can join the Pretty Planner Printables Club and access loads of planner printables and stickers from as little as a $1 a month. The Back Catalogue (which contains HUNDREDS of planner printables) is only available on the Tropical Fish tier. Can’t wait to see you in there! 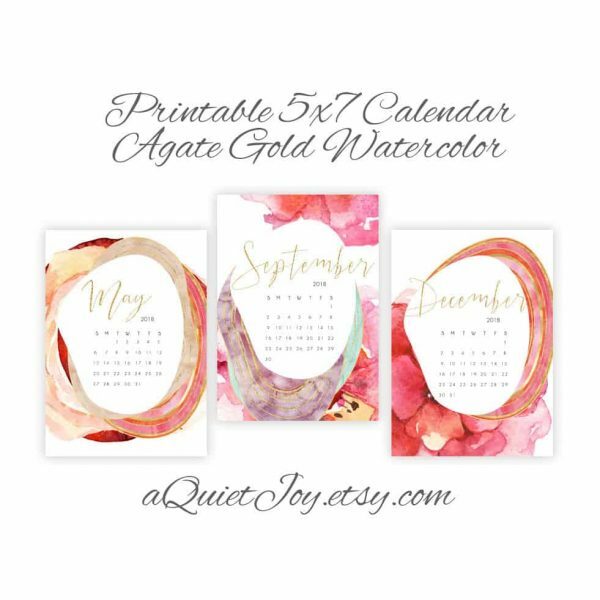 I trawled through Etsy and Pinterest and found some of the best planner decoration printables for your 2017 planner that are both paid and free resources. Related: How To Colour Code Your Planner Like A Total Pro! You may not want to spend your hard-earned cash on digital downloads for your planner. Believe me, I get it. I know how popular Erin Condren Planners are and I must admit that I love the large rectangle stickers that are designed for said planners. 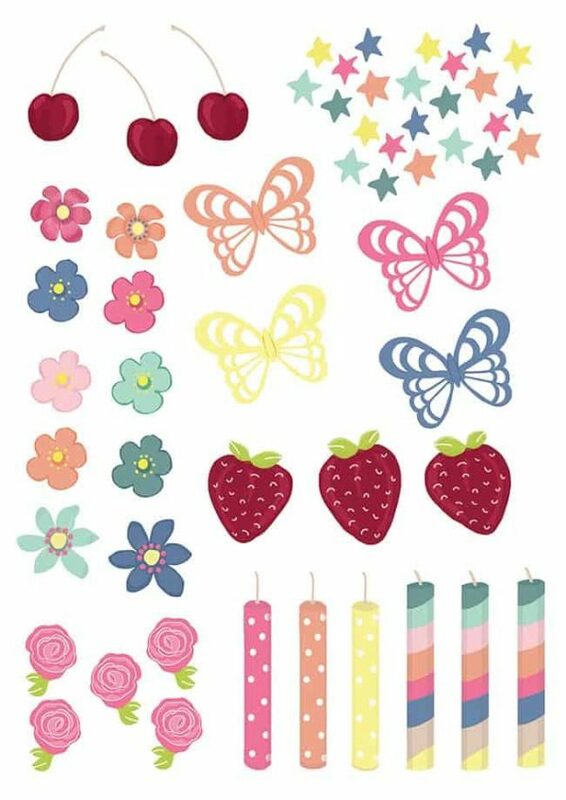 You can use them as beautiful backgrounds for doodles, notes or even scrapbook style with little photos over the top. You could use gelly roll pens to write over black or dark in all colours. 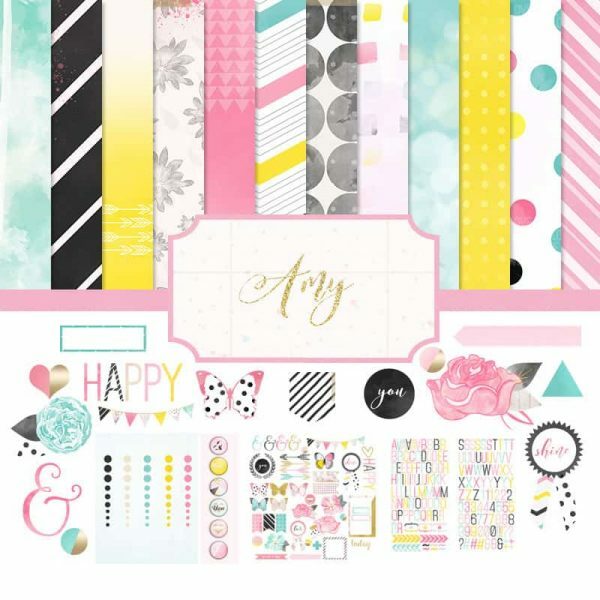 Another set of labels and stickers that are suitable for Erin Condren planners, as well as regular planners and binders. 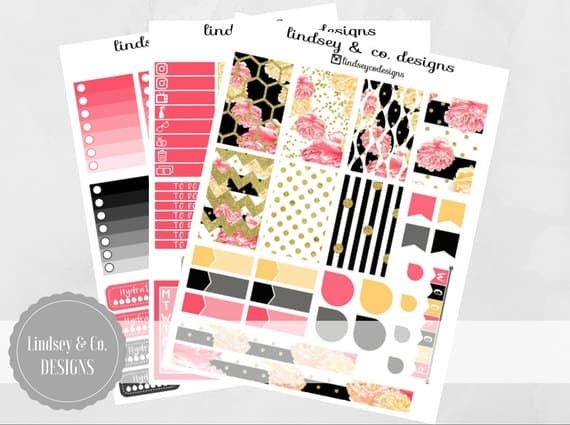 This bundle from Posh Peony is incredible! There are soo many labels included! 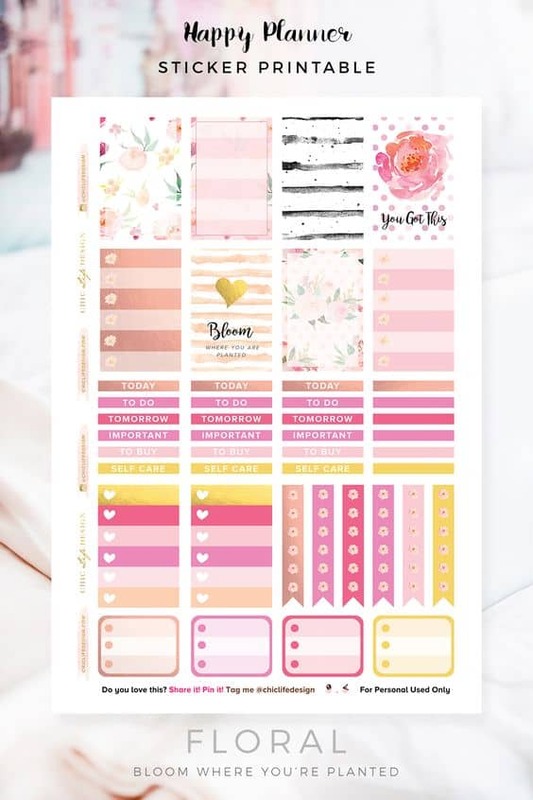 The idea of using scrapbook stickers in my planner fills me with a joy I can hardly relate! A few years ago I did project life for about three years, then life got in the way, which is a real shame. But, I still miss all the relaxing time that was spent decorating photographs and layouts. Now, I can do the same in my weekly planner! I love the scrapbook bundles created by ClaudiavanRDesigns, printing them out and using my Cricut machine to cut them out makes it a breeze! They also include alphabet stickers which can look rather fabulous in your layouts. There are lots of different shapes of labels, and these could keep you going all year long. They also seem to be available in all shapes for all occasions. The colour palette is also rather lovely. They’re sitting in my cart for my next injection of money. 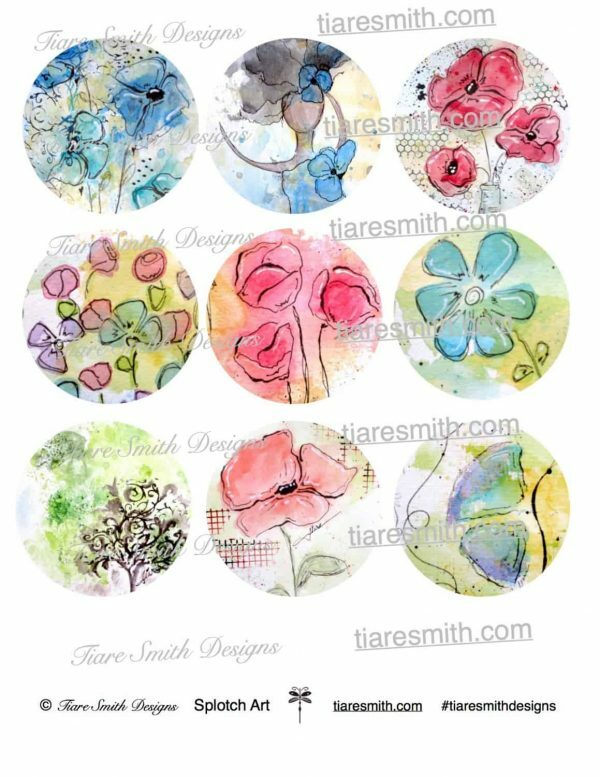 I love Tiare Smith, I’ve purchased stickers and ephemera from her Etsy store before and I’m currently waiting on printer ink to arrive so I can print and cut some more. I love them. I love to spend my evening doodling and sticking. It brings a real spark of joy to me. I have a plastic bookmark insert with sticky arrows, but I would also like to print out a calendar that I could stick to the back of the clear plastic insert. That would mean I could keep my stickies and sticker and the bookmark is more robust. You could even do the same with a planner ruler. These digital journal cards are bright and colour which is exactly what you might need in the dull winter months. 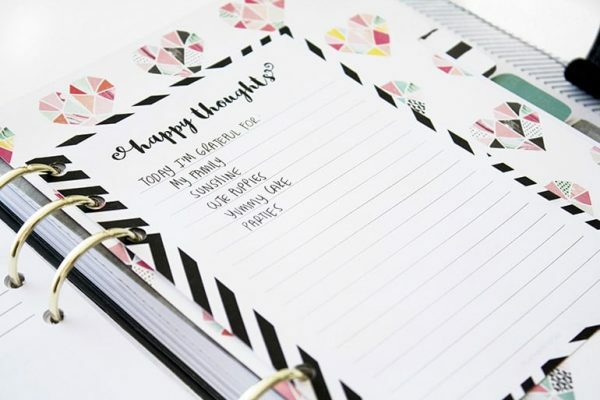 Journal cards are designed for project life inserts, but if you have a planner punch or single puncher, you could punch three holes (I own this one and it’s great, I highly recommend it) and add them into your weekly inserts. 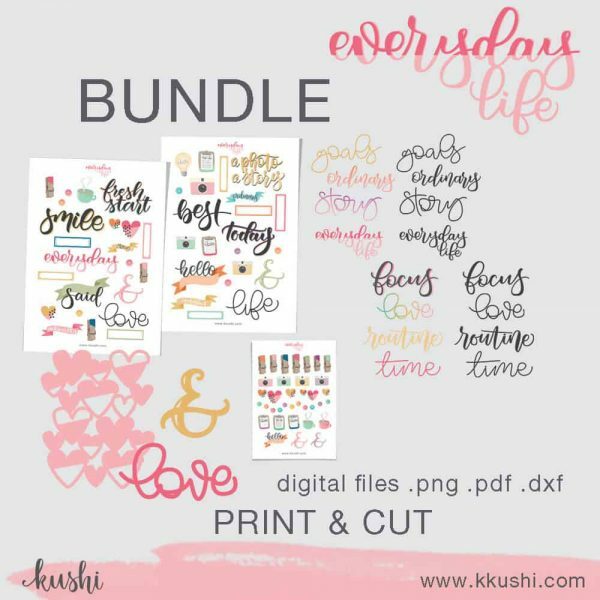 The colour palette is right up my street, and the fact that I have a Cricut machine means I’m 100% more likely to buy this bundle! The thought of cutting out that ephemera by hand is too much to bear. A little tip from a former seller of printers *cough* me; it’s best to use your own printer’s brand of paper and card. So, if you own a HP printer, buy HP photo paper. That’s because the boffins for each brand have a different recipe for their inks and the paper is then designed specifically for that recipe. Make sense? You will get outstanding results if you do that. If you are trying to save money by going with a generic brand, try to go for pearl or satin paper as it seems to print ink better than on regular matte paper. 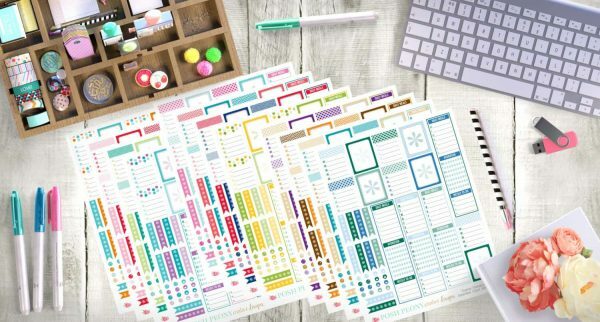 These are advertised as Bullet Journal stickers so that you can hack your way to a gorgeous Bullet journal, but actually, you could use them with any planner, scrapbook or journal. The banners and flags are adorable, created with a rather fab brush calligraphy style font. There are so many stickers in this kit! Again, it could keep you going all year long where your planner is concerned. I do enjoy a good floral printable! 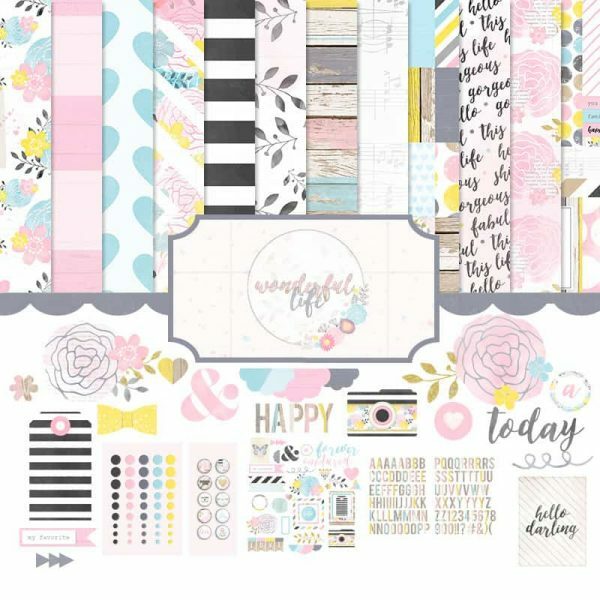 Chic Life Design has been very generous in providing these beautiful decorative stickers (suitable for Erin Condren planners) but would also work in any planner. I’ve downloaded my copy! Only waiting for the ink to come. I think I’m going to end up using all of my ink in one day when I print out my favourite stickers! How fabulous is this? It’s an excellent insert for your planner and small enough so that you can get a brief overview of your week. Paper Craft Inspirations Magazine is a great resource for free printables. 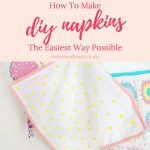 I love these Vintage Sewing printables! Sewing is rather enjoyable, and I think having little spools to represent my sewing days would look adorable in my planner. Head to the website to download, as the image above, is merely a preview. You can get the high res version at Paper Crafts Inspirations. 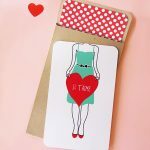 Back to Paper Craft Inspirations, if you love to cook or bake, then these free baking printables could be perfect for you. Simply print out sticker paper and cut. 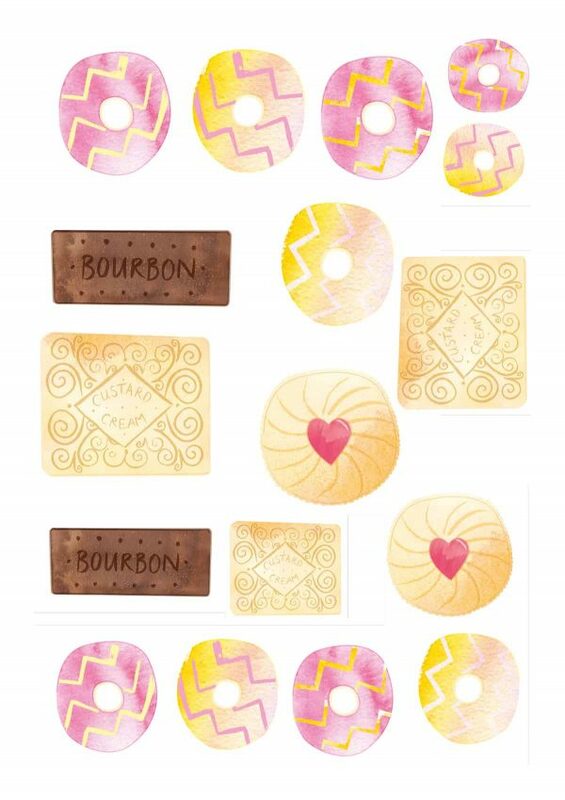 I can’t even tell you how excited I was to find these free printables, and I looooooooooove a biscuit! Love them. Especially Jammie Dodgers. *Deep breath* Ok, so we got through a lot there! Are you confident with all of your planner decorating? If you have an Instagram account and are part of the planner community, tag me in your photos! I’d love to see your planners. Tag @hearthandmade. 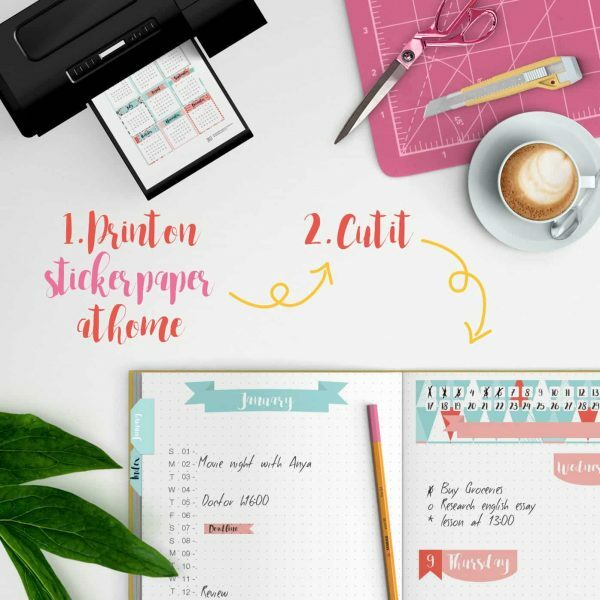 Are you happy with all the planner decoration printables shared with you today? If you know of any others that I would like, just drop me a comment or tell me on social media! I use Grammarly – The World’s Best Automated Proofreader. 10 Minute Craft Idea: How To Make Snowy Lanterns!